Ajax II and Go Ahead Eagles face at Sportpark De Toekomst, in a match for the 34th round of the Eerste Divisie. 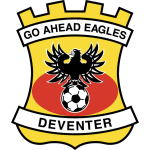 In the last league head‑to‑head, played in 21‑09‑2018, Go Ahead Eagles got a home win by (2‑1). In 5 head‑to‑heads in the last 3 years, the away team won 4 and tied 1. The home team is currently in the 7th position of the league, with 49 points won, after 14 wins, 7 draws and 12 losses. In the penultimate match, they lost in a home match against Cambuur, by (0‑6). In the last match, they won in an away match against Helmond Sport, by (1‑3). 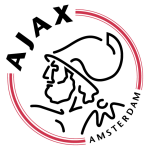 For the league, Ajax II won 13 points out of 30 possible points, after 3 wins, 4 draws and 3 losses in the last 10 home matches. Defensive consistency hasn’t been their best feature, as they have conceded goals in 9 of the last 10 matches, but their offense has scored consistently, as they have scored goals in 9 of the last 10 matches for this competition. In their home matches there is a tendency for goals, since 11 of the last 16 matches for this competition have ended with Over 2,5 goals. They haven't been able to score the first goal. In fact, they have only opened up the score in 7 of the last 33 matches for the Eerste Divisie, they have reached half‑time in advantage in 5 of those 7 matches and have held on to the lead in 4. They have conceded the first goal in 8 of their 33 matches for this competition, and have only turned the score around in 2. After a highly penalizing defeat, 6-0, at home to Cambuur, one could fear some breach of confidence, some difficulty in the motivation of the players, for the visit to Helmond. However, none of this happened, quite the contrary, a clear 3-1 victory. With this result, Ajax II reached the 7th position, 11 points clear the opponent. Playing at home and in next to their fans are a competent team, with 8 wins, equivalent to half of the games played at home. The team's attack should be highlighted, for being the competition's second most positive, with 64 goals scored. As in the previous round, Ajax II has no player unavailable. Confirmed Lineup: D. Kotarski, N. Bakboord, D. Solomons, B. Kemper, P. Schuurs, T. Bijleveld, N. Lang, R. Gravenberch, L. Traore, Danilo, V. Černý. The away team is currently in the 3rd position of the league, with 60 points won, after 18 wins, 6 draws and 9 losses. In the penultimate match, they lost in a home match against Telstar, by (2‑3). In the last match, they won in a home match against AZ II, by (1‑0). Their last away match for this competition ended in a win by (1‑3) against Dordrecht. In the last 10 away league matches Go Ahead Eagles has a record of 5 wins, 2 draws and 3 losses, so they have won 17 points out of 30 possible. Defensive consistency hasn’t been their best feature, as they have conceded goals in 7 of the last 10 matches, but their offense has scored consistently, as they have scored at least one goal in each of the last 10 matches for this competition. In 33 matches for this competition, they have conceded the first goal 10 times and have only turned the score around in 1. Go Ahead Eagles fulfilled the expectation that had been created around the result of the last game, beating AZ 1-0. It is worth remembering that the prices for the Go Ahead Eagles' victory were too low to even think about investing. A victory more than expected, which followed a defeat difficult to digest, in the reception to Telstar. This Go Ahead Eagles team have managed to keep at top of the standings, round after round and it seems obvious that they will do everything to continue, so they have a say in the qualification for the Eredivisie promotion. It is to play in the away condition that Go Ahead feels really good, with 27 points conquered in 48 possible and only behind Twente. Most of their away games, tend to record several goals on the scoreboard. Bruno Andrade remains absent and will now join the right-winger Jaroslav Navrátil. Confirmed Lineup: H. Verhulst, J. Veldmate, G. Bosz, J. Lelieveld, R. Baas, I. Bakx, P. van Moorsel, O. Džepar, J. Stans, T. Verheydt, V. Dekker. For this game and given that we will have two teams with an easy goal, the bet suggestion will focus on the more than 3.5 goals, priced at 1.71. On the one side is the competition's 2nd best attack and that is simultaneously one of the worst defensive, with a Go Ahead that also score and suffer goals with great frequency. In addition to that in the last 3 games of these 2 teams were scored 23 goals, averaging almost 4 goals per game. No tips were made for this match in the competitions available at the Betting Academy Kenya.